Every Obermeyer kids jacket is designed to give boys the features they need to develop their skills on the slopes, and the Obermeyer Horizon Insulated Ski Jacket is no exception. 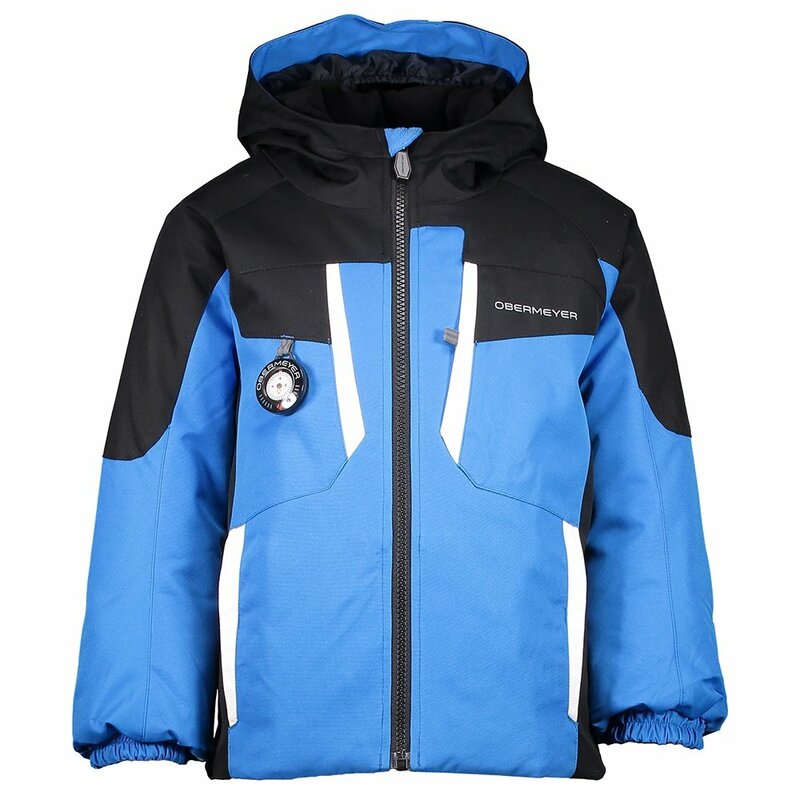 This boy’s ski jacket is made with HydroBlock® Sport fabric, so it’s able to offer 10K waterproofing and breathability ratings, perfect for most resort ski days. 220g of insulation is more than enough for chilly weather, and since this jacket uses “I-Grow”™ technology, the cuffs can extend as he gets taller. The Obermeyer Horizon Insulated Ski Jacket is packed with other features he’ll appreciate when he’s testing his limits this winter, like ear warmers in the hood and a water-resistant powder skirt.